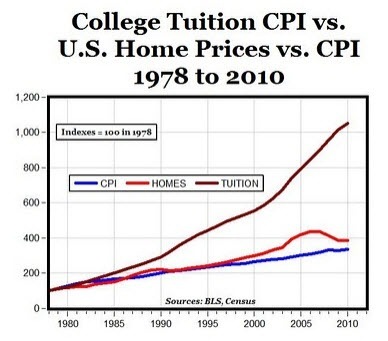 Home > Economy, Education	> Debt Management to Become a Standalone Course in High Schools. Emulating the American model is also foolhardy on the note that you touched upon at the end, that of private contributions. America has a long held tradition of large scale philanthropy, whether it be in the current Gates mould or in the common donation to one’s alma mater. It’s something that we simply don’t do in Britain and so to base our higher education economic model on the US higher education system, while ignoring the major financial endowments that sustain it is shortsighted in the extreme. Oh and great article by the way! I fear we are sleepwalking towards such a system. George Osborne remained tight lipped about the way forward for university funding today by only releasing figures detailing a cut in excess of 40%. This paves the way for private contributions to dictate our institution’s and the courses they will be cornered to offer. Funding for science is said to remain at the current level, but this prioritisation will have a knock on effect by creating a financial elitism surrounding the arts subjects. This may signal the end of the term “starving artist” for all the wrong reasons. The state should not be depended upon to create wealth or partake in the trade markets, but one thing it has the potential to do is to impart neutrality in education – something private interests are incapable of doing. By removing this neutral influence, institutions will start to reflect the private interests of their donors. This is very dangerous. New British Slasher Film, Starring You. “Downsize your Dreams”, we are Told.